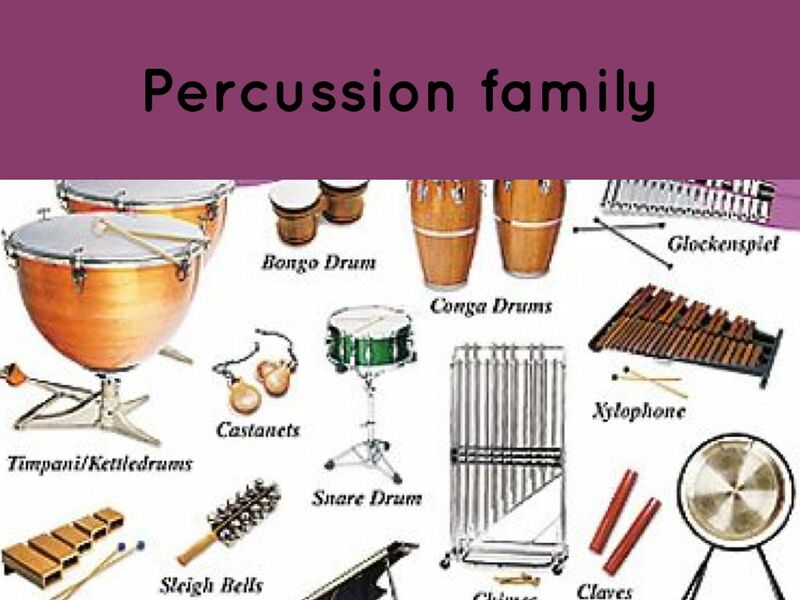 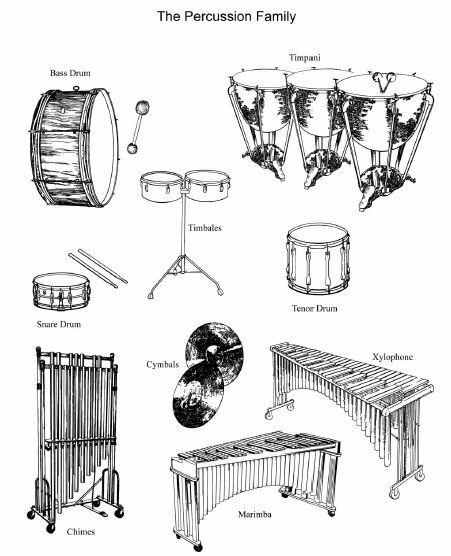 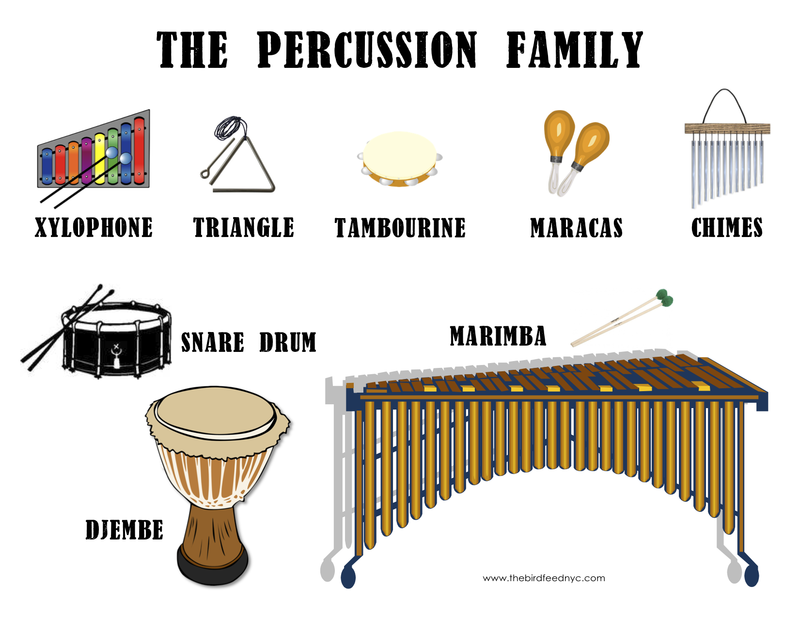 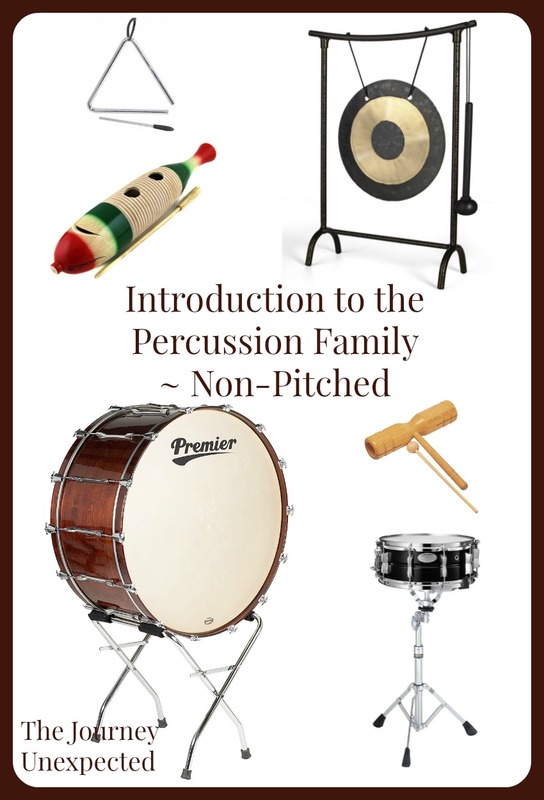 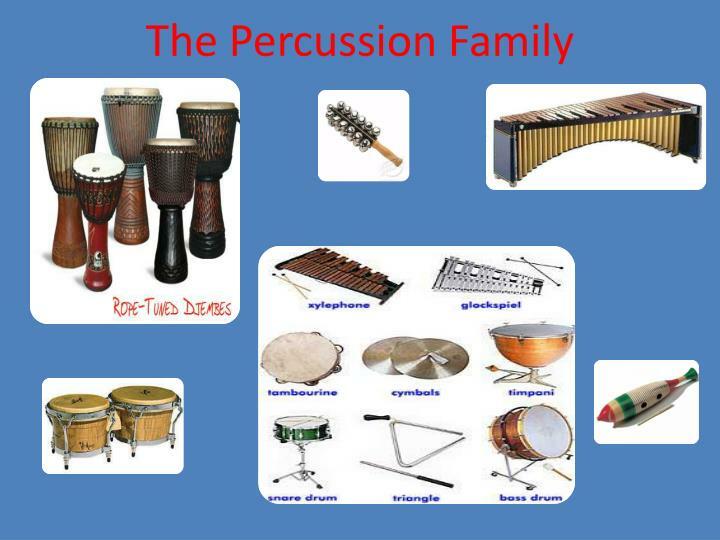 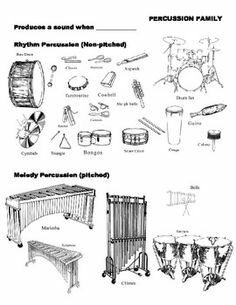 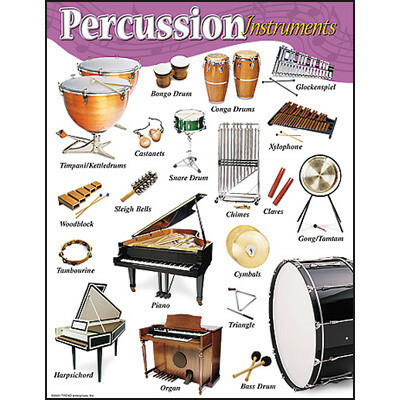 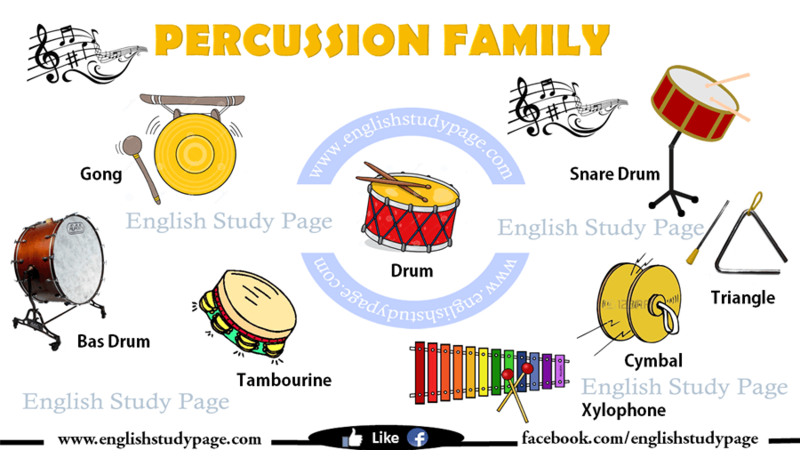 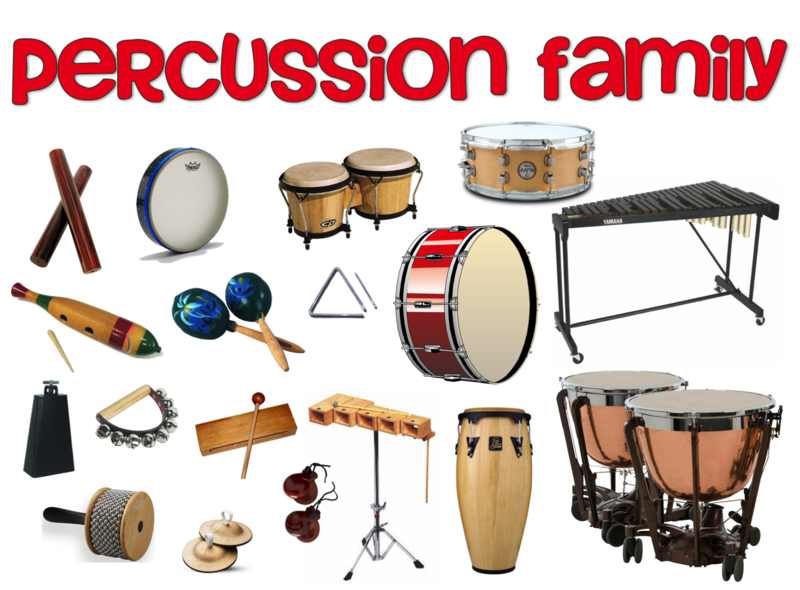 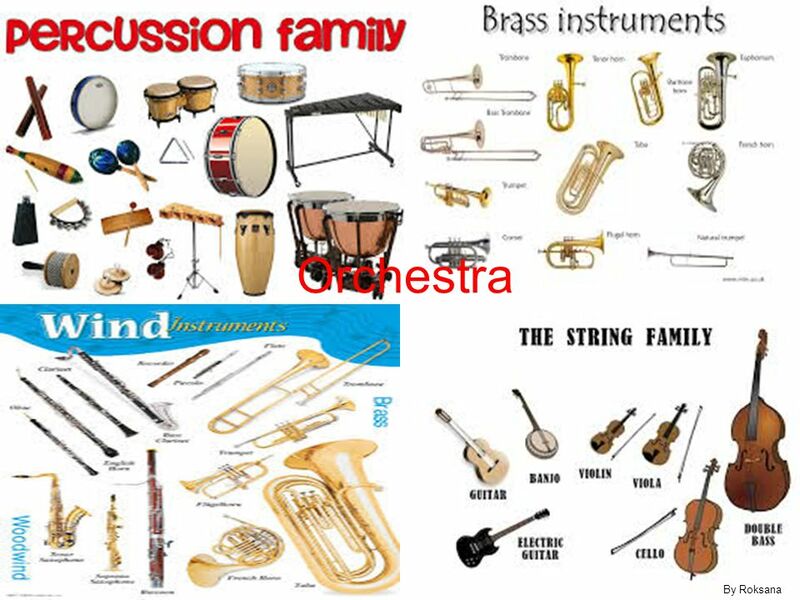 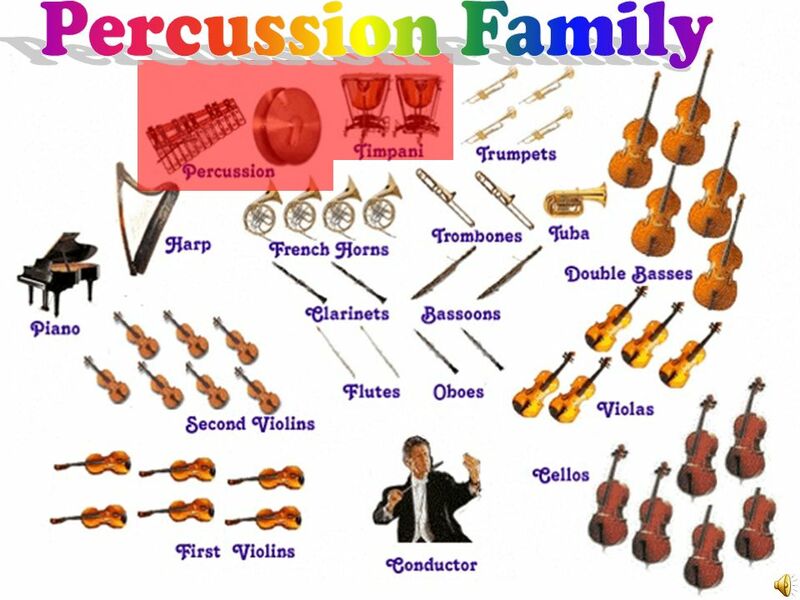 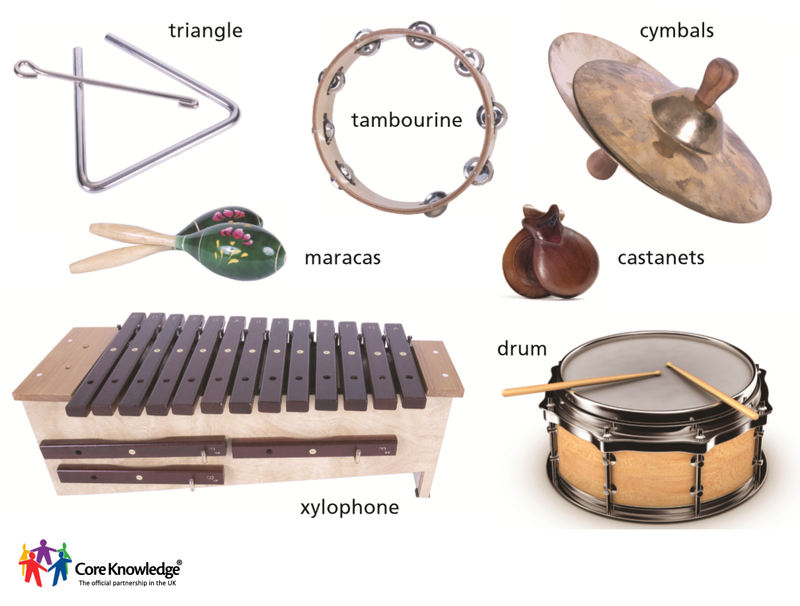 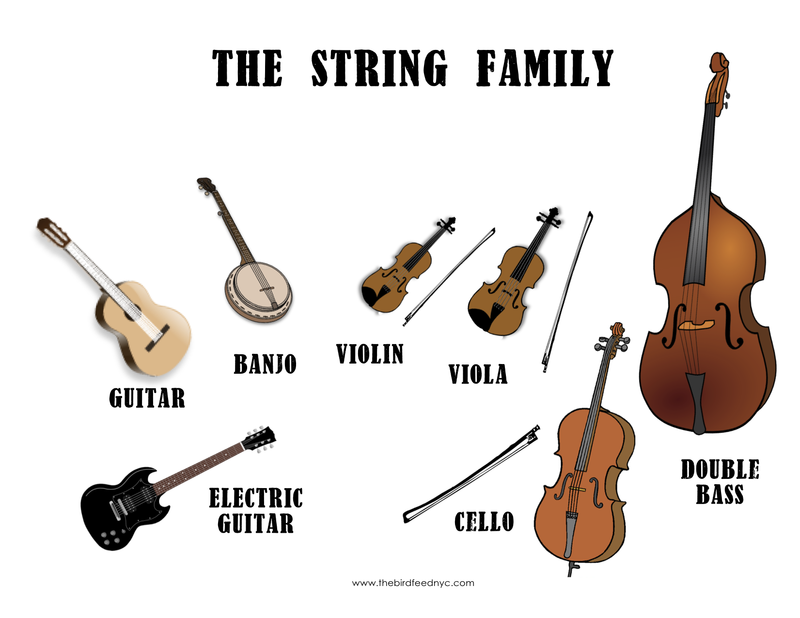 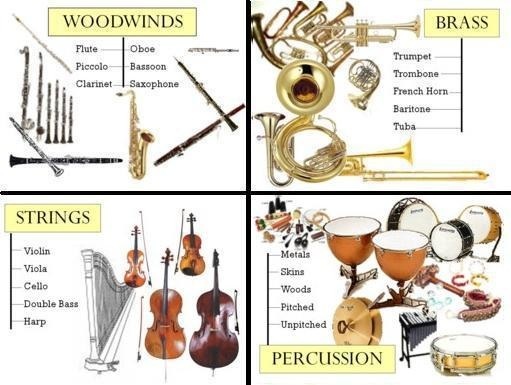 The percussion section of an orchestra most commonly contains instruments such as timpani, snare drum, bass drum, cymbals, triangle and tambourine. 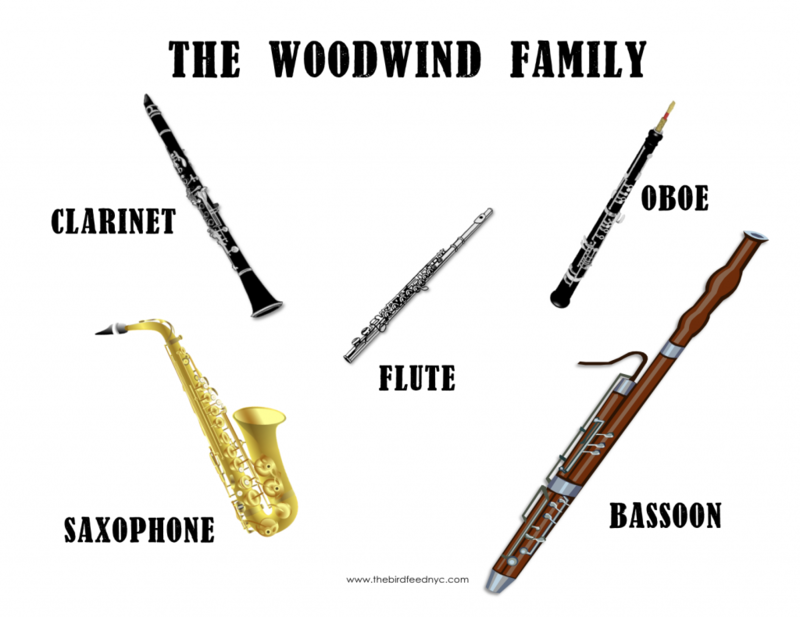 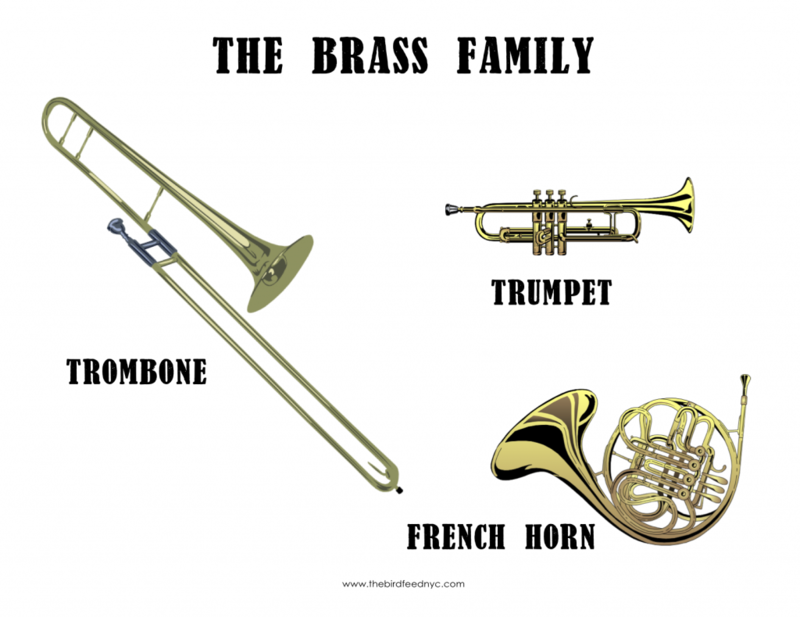 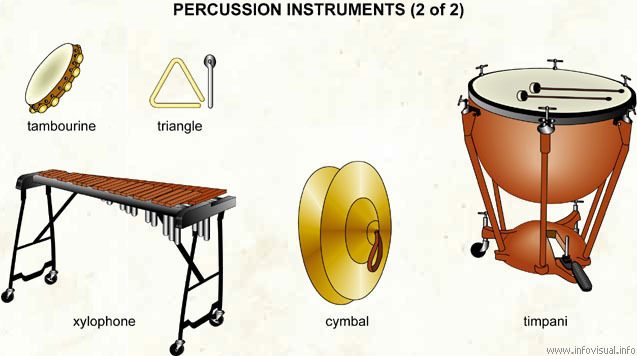 However, the section can also contain non-percussive instruments, such as whistles and sirens, or a blown conch shell. 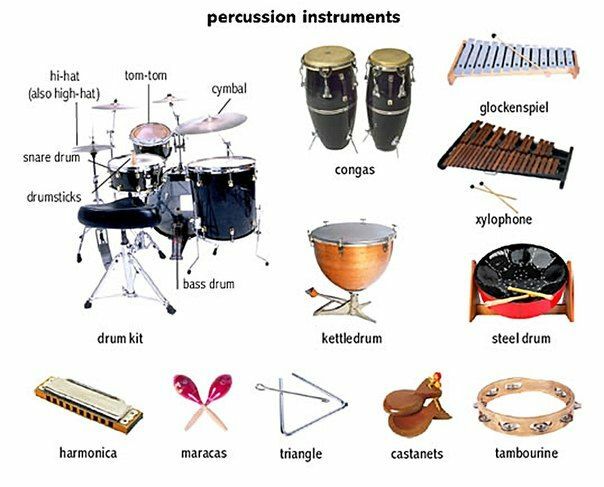 Percussive techniques can also be applied to the human body, as in body percussion. 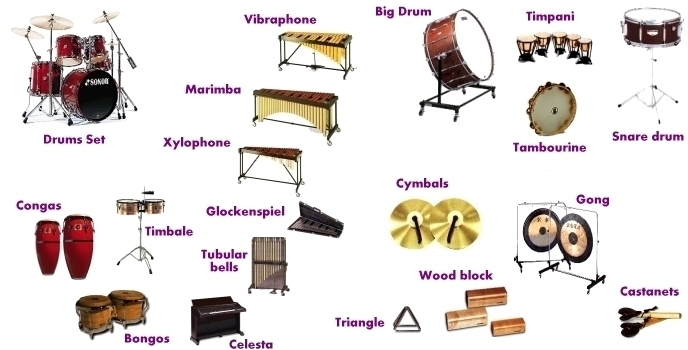 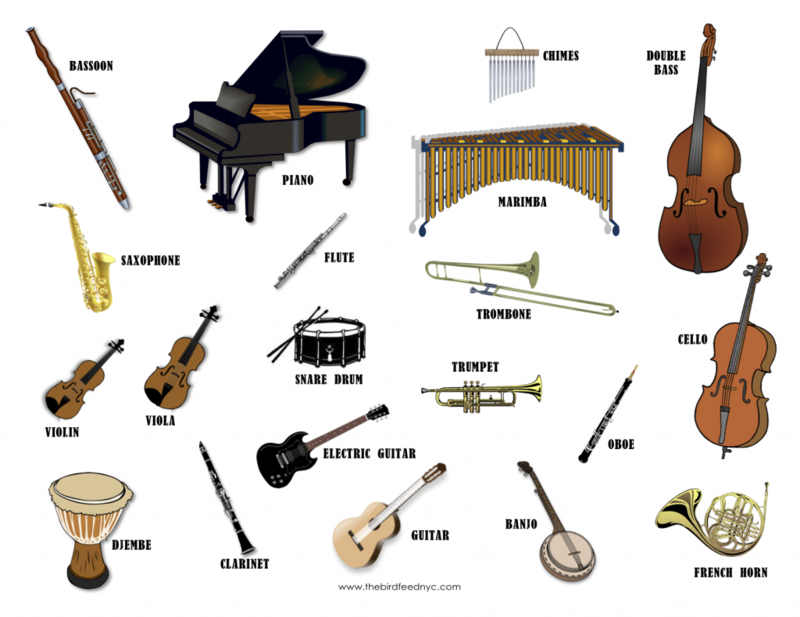 On the other hand, keyboard instruments, such as the celesta, are not normally part of the percussion section, but keyboard percussion instruments such as the glockenspiel and xylophone (which do not have piano keyboards) are included.